Zola Hostel features a garden, as well as a shared lounge. The property is set in the Palermo district. A continental breakfast can be enjoyed at the property. The hostel offers a sun terrace. Speaking English and Spanish, staff will be happy to provide guests with practical guidance on the area at the reception. 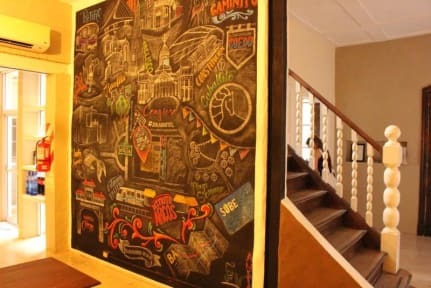 Zola Hostel is Located in Buenos Aires, 600 m from Plaza Serrano Square, Zola Hostel has rooms with free WiFi access. Plaza Italia Square is a 9-minute walk from Zola Hostel, while Museum of Latin American Art of Buenos Aires MALBA is 2.4 km away. Palermo is a great choice for travellers interested in nightlife, gourmet food and restaurants. Zola Hostel is also very close to Metro station and busses stop making easier tourist life in Buenos Aires. 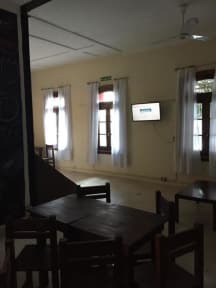 The property has 2 private rooms ensuite and 1 private room with shared bathroom.We also have 3 dorms with shared bathroom (2 dorms of 4 beds and a big loft with 8 beds).